After several teasers, Xiaomi just announced that it will unveil Mi MIX 2, its second-generation flagship bezel-less smartphone at an event in China on September 11th. 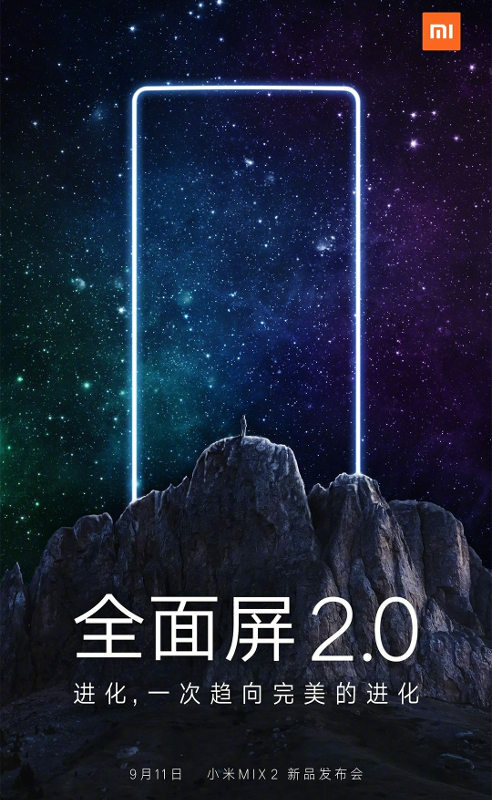 Xiaomi is calling it 2.0 bezel-less display, so it is expected to have minimal bezels. The company already confirmed that it will be designed by French designer Philippe Starck, who designed the Mi MIX. 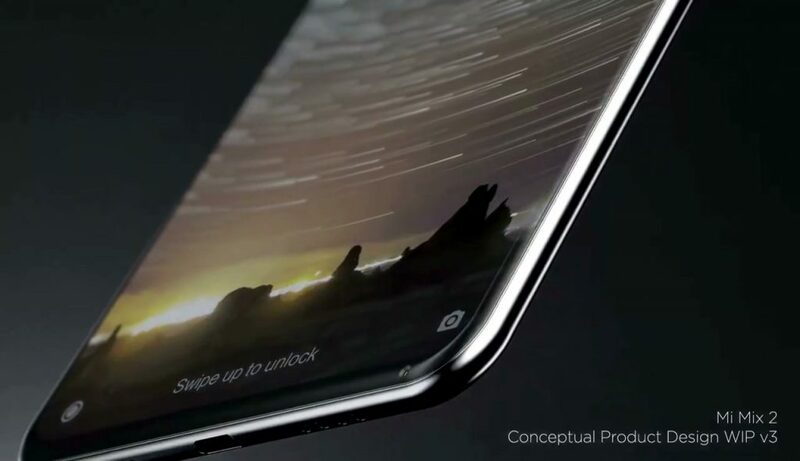 The designer recently shared a concept video that shows ultra narrow bezel on one side of the phone with camera on the right side of the bottom bezel. It will likely use Cantilever piezoelectric ceramic acoustic system instead of a standard earpiece, similar to the predecessor. The phone is rumored to boast 93% screen to body ratio compared to 91.3% screen to body ration on the first generation Mi MIX. It is also said to sport a curved AMOLED display instead of LCD display on the Mi MIX. It is also tipped to feature an ultrasonic fingerprint sensor under the display, but it is doubtful we can see the feature. The Xiaomi Mi MIX 2 event on September 11th takes place at Beijing University Of Technology Gymnasium. We should know all the details in a couple of weeks.